As parents of a child with an ASD, we were willing to try anything we could to make our son's life better. When we first introduced the idea of yoga to our son, he balked. He refused to listen to our plans about implementing a yoga practice for him. He also did not want to hear about the positive benefits of yoga. Our son did not even want to hear the word "yoga." Even though we were convinced that yoga would help our son with the symptoms of Asperger Syndrome, we could not motivate him to try even one pose with us. Our son thought it seemed like too much work. He viewed yoga as exercise and he knew that he was not athletic. He also thought the whole idea of yoga and paying attention to his breathing was weird. Yoga seemed to be yet one more thing that he "had" to do. He also believed that boys and men did not practice yoga and that if he practiced yoga he would be more "different" than other kids. We realized that we needed to begin yoga very slowly with our son. We started with just one pose. We had him hold the pose for just one second. We also modified the pose for him to make him as comfortable as possible. We used modifications not normally mentioned in any other book or guide. Additionally, we listened to his complaints and changed the pose to accommodate him. He had his back rubbed while he was guided into the pose. After our son understood and became familiar with some of the poses and the breathing techniques, he began to be less resistant to the whole process. We felt that he really succeeded when he did some breathing techniques at the bus stop independently. We suggest that you find something that may motivate your child to try just one pose. The number of poses and the length of time that your child is in the poses is irrelevant. The benefits of these poses and the practice of yoga can stay with your child for a lifetime. Yoga is not competitive, and frustration and anger defeat the energy that goes into the practice. If you find yourself becoming frustrated with your child during a yoga session, take a break, or continue on another day. 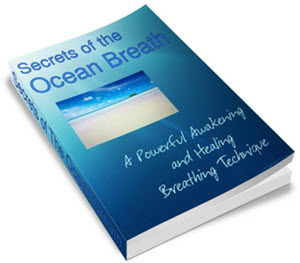 In addition, the breathing exercises in Chapter 3 may be extremely helpful in relieving frustration.